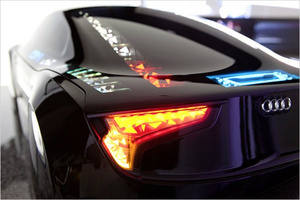 Like a bioluminescent creature rising from the depths, these OLED lighting concepts from Audi are simply otherworldly. Eat your heart out, KITT. Audi demonstrated the new lighting today at the Audi Electronics Center in Ingolstadt. As you can see, the R8 and Q7 both feature flat-panel OLED displays running the length of the vehicle—eight segments alone create the flashing turn indicator strip. This homogeneous visual effect would not be possible with today's LEDs. These are individual points of light that need additional optical devices – reflectors, optical conductors or scatter optics. OLED surfaces are themselves the source of light, and the thin plates also look attractive. They weigh little, light up extremely fast, develop only a small amount of heat, last for several tens of thousand hours and don't consume any more energy than conventional light-emitting diodes. 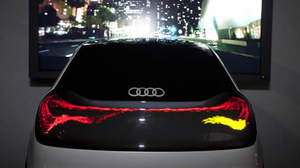 OLEDs suit Audi perfectly because they combine high-end technology, maximum precision and super design! If netbooks are your cup of tea and you've been waiting to get your hands on an ASUS Eee PC Flare 1025C like we did back at CES, you're in luck. Matte Black and White color options are up for preorder now from Amazon. Get ready to part with $300 for one of the available schemes, as the kit is set to ship out next week. 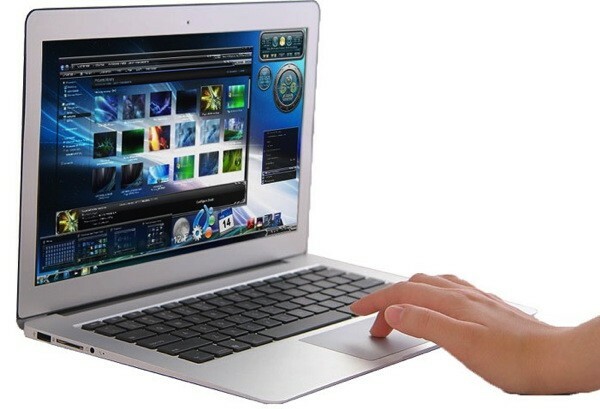 If you recall, the 10.1-inch netbook packs a 1.6GHz Intel Atom N2600 dual-core processor, 1,024 x 600 LED display, 1GB of DDR3-1333 memory, a 320GB 5,400RPM hard drive and weighs-in at just under three pounds. The PC's six-cell, 56WHr battery touts a 12.5 hour life span, giving you ample time to submit those TPS reports sans outlet. If you're looking for all the fine details, hit the coverage link below before committing. 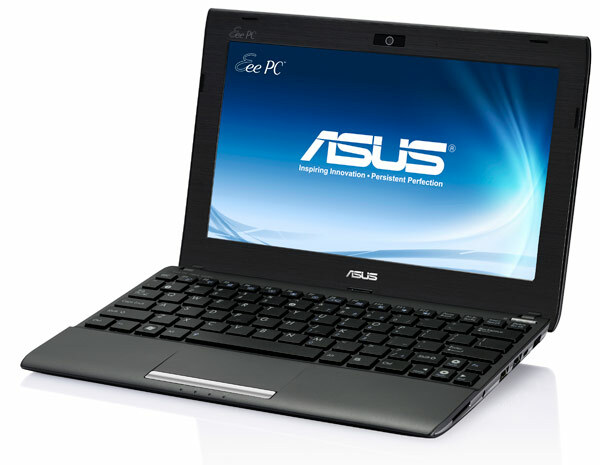 ASUS Eee PC Flare 1025C netbook up for preorder, ships March 10th for $299 originally appeared on Engadget on Fri, 02 Mar 2012 17:47:00 EDT. Please see our terms for use of feeds. For a company so focused on secrecy, Apple never really did all that good of a job keeping its connection with Corning under wraps. 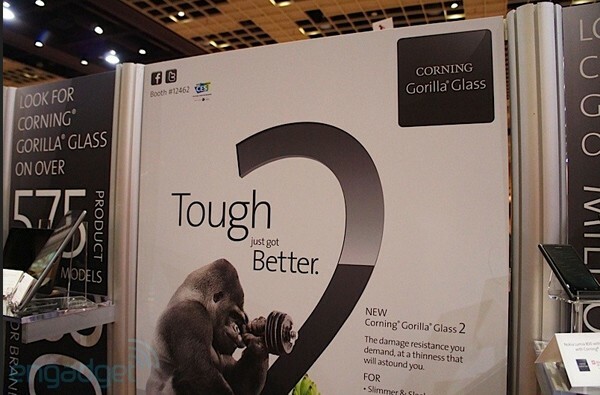 We've always suspected that the company enlisted the Gorilla Glass maker for the iPhone, though it didn't really go out of its way to admit it -- even going so far as omitting the New York-based company from its 2011 suppliers list. Cupertino offered it a little love today, however, giving Corning a nod in its chipper job creation report. While it didn't actually mention Gorilla Glass by name on the page, Apple was happy to talk up the "Corning employees in Kentucky and New York who create the majority of the glass for iPhone." Apple name-drops Corning as iPhone glass manufacturer, we feign surprise originally appeared on Engadget on Fri, 02 Mar 2012 18:27:00 EDT. Please see our terms for use of feeds. 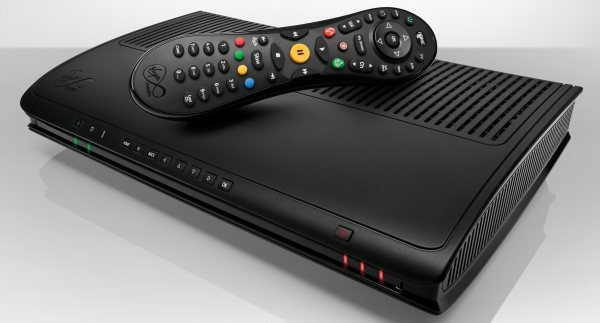 While there's no doubt that Virgin Media customers have taken well to the company's TiVo HD DVR offering, so far switching has meant giving up certain interactive TV services supported elsewhere. they're getting one back now, as the company announced it's kicking off the rollout of Red Button interactivity to the TiVo on Sky Sports HD, letting footy fans catch more extended highlights of Premier League games. There's more on the way too, with support planned for the upcoming F1 channel and BBC services in April. Check out the press release after the break ffr more details on what will be supported and when, assuming one will be watching the games on TV instead of diving into hooliganism, or whatever it is fans of football do, we'll keep our handegg thank you very much. Virgin Media TiVo rolling out Red Button interactive TV services for Premier League and more originally appeared on Engadget on Sat, 03 Mar 2012 04:07:00 EDT. Please see our terms for use of feeds. Splashtop is one of the premier remote desktop apps out there and, at CES, we got a pretty sweet demo of it pushing full screen games and HD video from a Windows 7 PC to a Tegra 3 tablet. Now that version (THD) is available for download in the Android Market for $6.99. Of course, you'll need a Tegra 3 slate running Ice Cream Sandwich to take advantage, while playing Skyrim in full screen has the added requirement of PC sporting a GeForce GPU. Once you've gotten those basic requirements out of the way you'll still want to make sure you've got a solid and quick wireless connection -- all the processing power in the world won't be able to compensate for a lack of bandwidth. Check out the video after the break to see it in action and hit up the source link to buy it yourself. Splashtop THD lands on ICS Tegra 3 tabs, ready to stream full-screen Skyrim originally appeared on Engadget on Fri, 02 Mar 2012 16:02:00 EDT. Please see our terms for use of feeds. Word on the street is Ivy Bridge has been delayed, but that doesn't mean you have to wait till June to get the low down on some of the shiny new silicon Intel has in store for you. Chipzilla posted a sales book, presumably on accident since it's been pulled, with details about upcoming i5 and i7 refreshes. The only page we were able to find was loaded with Core i5s, including third generation parts like the 3.4GHz 3570K which packs the new HD4000 and, most likely, an unlocked multiplier. Most of the rest of the lineup, save the 3475S, is rocking Intel's HD2500 IGP, while the lone dual-core part is the 3470T, which is also the only chip to sport Hyper-Threading and ship with only 3MB of cache. Now, as far as when you can buy these processors or how much they'll cost, we're still in dark, but at least we've got a better idea of what we'll be shopping for. Head on after the break for a slightly better look at the new parts. 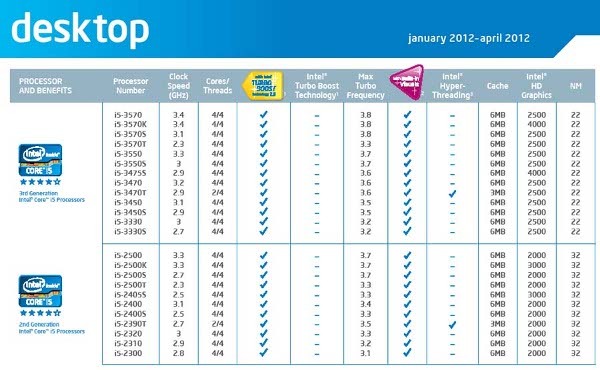 New Intel Ivy Bridge i5 details leaked in Intel sales book originally appeared on Engadget on Fri, 02 Mar 2012 14:12:00 EDT. Please see our terms for use of feeds. 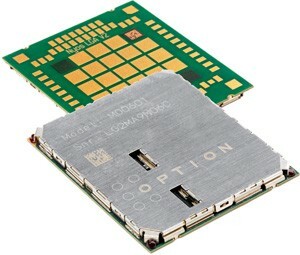 Belgian wireless outfit Option has produced a 4G modem that takes up the same space inside a netbook or tablet as the company's previous 3G-enabled model. The GTM801 is based around Qualcomm's universal-standard Gobi MDM9215 and, even better, is already designed to support Windows 8 -- so we can at least hope that the first or second wave of tablets for Microsoft's new OS will be able to access 4G natively, for when we need to work Facebook on the go. Given that all of Option's tech is Gobi-based, you'll also have backwards compatibility with pretty much every standard ever invented, which is good if you don't live in the middle of a LTE zone. Option announces new 4! 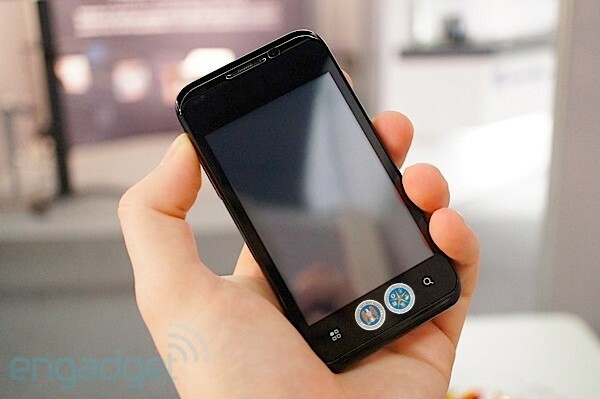 G chipse t compatible with Windows 8 originally appeared on Engadget on Fri, 02 Mar 2012 09:47:00 EDT. Please see our terms for use of feeds. This is the Netbook Navigator NAV13X Windows 7 Ultrabook and if we're honest, we think it's a very attractive looking device. That said, we're not so sure it's going to be on sale for too long, which is a genuine shame. Despite being called an Ultrabook, it's not an Intel-sanctioned device, which won't go down well with Santa Clara's lawyers. Secondly, it's actually a Netbook running a 1.86GHz dual-core Atom CPU with 2GB of RAM and a 32GB SSD, with build to-order options running to larger memory and storage. Thirdly, we're fairly sure we've seen industrial design like this before, and given the litigious nature of the company involved, we expect a metric ton of cease-and-desist notices to be delivered to Navigator's New Jersey HQ before the weekend's over. However, if it can survive the barrage of paperwork from two of the industry's biggest companies, it'll arrive very soon, setting you back a slight $500 sans OS or $600 with Windows 7 Home Premium. KIRF MacBook Air is the prettiest ! 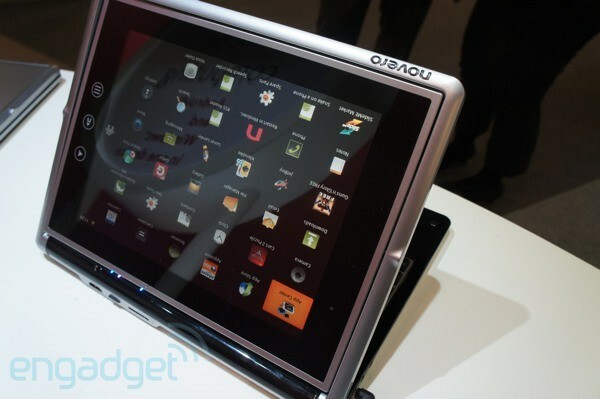 netbook we've seen today originally appeared on Engadget on Fri, 02 Mar 2012 10:12:00 EDT. Please see our terms for use of feeds. 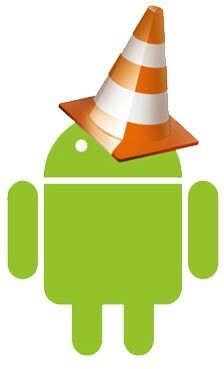 Unofficial VLC beta hits Android, no video format is safe originally appeared on Engadget on Fri, 02 Mar 2012 08:21:00 EDT. Please see our terms for use of feeds. It only took one year for Fab.com to attract 2.5 million members. It's proof that co-founders Jason Goldberg and Bradford Shellhammer made the right decision when they asked their board if they could shut down Fabulous.com and create an entirely new site. "We had a wake-up moment," Goldberg told us. "Why were we building a company that isn't the company we want to be building?" They pivoted and created a home decor flash sales site, attracting 165,000 members even before launching, and have raised $51 million to date. They're set to generate twice as much in 2012. Watch below Goldberg and Shellhammer talk about how they made the decision to pivot and how they told their investors. The NSA decided it wanted to have its own go at producing a secure Android smartphone that could encrypt communications to levels necessary for national security. Project "Fishbowl" constructed 100 handsets from off-the-shelf components that were secure enough that staffers could use them without speaking in code. All conversations are conducted across an IPsec VPN with a secure, real-time transport protocol for encrypting the voice at both ends, with the VoIP server being housed inside an NSA facility. It's part of a program to get handset makers to build this kit so the Information Assurance Directorate doesn't have to navigate the interoperability hurdles between each company's tech. The agency has launched a how-to for any manufacturer looking for a large Government contract to produce Fishbowl phones on a larger scale, although they'll probably have to change the name to something more threatening like MK-Ultraphone or the Phoneadelphia Experiment. NSA builds own model of Android phone, wants you to do the same originally appeared on Engadget on Thu, 01 Mar 2012 15:54:00 EDT. Please see our terms for use of feeds. 2012 is still young, yet it's already shaping up to be a bad year for privacy and security on the mobile front. 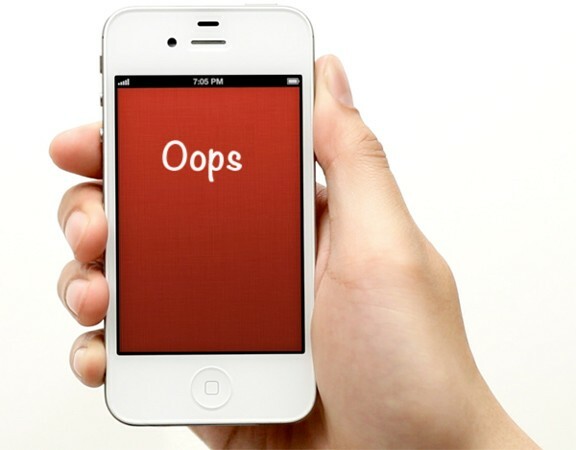 Apple found itself embroiled in a bit of a brouhaha over the iPhone address book and an app called Path. And, of course, Google was put under the microscope when mobile Safari was found to have a security flaw that its mobile ads were exploiting. Then, earlier this week, it was discovered that granting iOS apps access to your location could also expose your photos. Now it's been discovered that Android also exposes your images, though, it's doing so without asking for any permissions at all. While Apple was masking photo access with other permissions, Google is simply leaving your pics vulnerable as a part of a design quirk that came from the OS's reliance on microSD cards. Both companies have acknowledged the flaws and have said they're currently working on fixes. We're just hoping things start to quiet down soon, though -- our mobile operating systems are running out of personal data to expose. Check out the source links for more details. Android and iOS expose your photos to third party apps, promise fixes originally appeared on Engadget on Thu, 01 Mar 2012 17:54:00 EDT. Please see our terms for use of feeds. Dans Le Noir NYC's several-year journey to open in New York City is now over. The dining-in-the-dark restaurant is officially open in Times Square, according to Eater. Originally, the restaurant had scouted a Flatiron location, but then moved to the Lower East Side, then considered Chelsea before deciding on the crossroads of the world. Finally after delays dating to 2009, the spot opened this week. Patrons are told not to wear fancy clothes, so if something spills in the dark, the damage is not severe. Fortunately waiters are deft in the dark; they're all blind. Sample menus show items such as tournedos of crocodile and "surprise wine" and "surprise cocktails." And if you get to drunk, it's back to the daylight for you. It's TI's time to brag. We first met OMAP5 when the company's VP of the OMAP division, Remi El-Ouazzane, unveiled the developer's reference platform on our stage at CES. While there, he boasted OMAP5 as "the greatest platform on Earth right now," but we were given only a few insights into the platform's capabilities. Now, TI is back with a new wave of demos that better show the prowess of OMAP5 -- a system-on-chip design that houses a dual-core ARM Cortex-A15 CPU clocked at just 800MHz, two Cortex-M4 cores for low-power processes, along with a PowerVR SGX 544 GPU that handles 3D compositions, and a number of accelerators such as TI's IVA-HD, which supports both video encoding and decoding and plays 1080p video at a whopping 60fps. We were shown a demo of all these capabilities humming in unison on a 1080p display, along with a complex HTML5 mashup that adds credence to the company's latest benchmark report. Photography geeks should know the system supports up to 14 megapixel cameras, and is able to process ten shots per second at that setting. We're told to expect devices based on the OMAP5 platform by the end of the year, and if you're anything like us, it's going to be one hell of a wait. Hop the break for the demo. 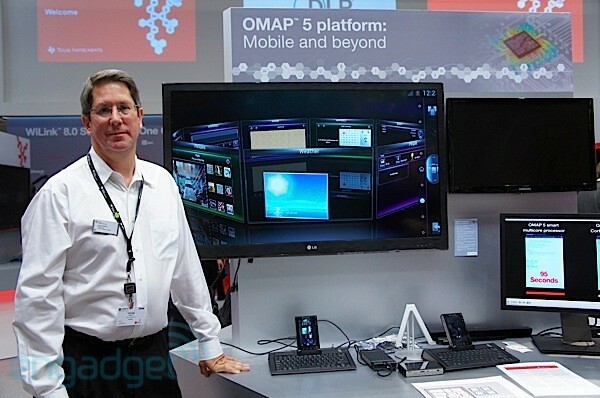 Hands-on demo with TI's OMAP5 platform at MWC (video) originally appeared on Engadget on Thu, 01 Mar 2012 13:23:00 EDT. Please see our terms for use of feeds. 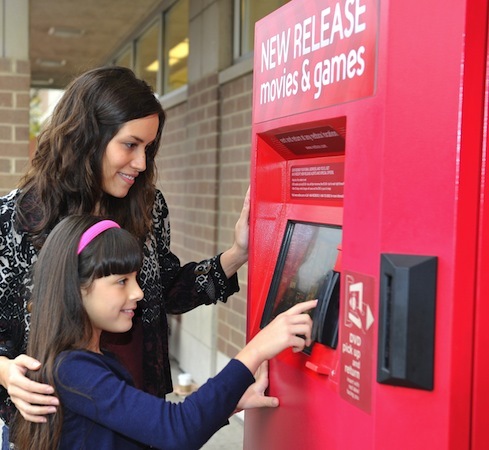 So far, Redbox has maintained that it's only willing to delay rentals of new releases a maximum of one month, but while Warner pushes for a longer window the rental kiosk chain has reached an agreement with Universal Studios Home Entertainment. The new deal keeps the delay window at 28 days, and promises to keep the discs flowing through August 2014. Despite Redbox's threat to start offering Warner movies day and date due to their dispute, so far it's still taken a couple of weeks for new releases like Harold & Kumar and J Edgar to make their way into kiosks. So far there's no word of other studios backing Warner's push for a 56-day delay between the date movies go on sale at retail and the earliest budget renters like Redbox and Netflix will offer them, which is a good sign. Not mentioned in the press release? Whether or not this deal could affect the availability of content for Redbox's internet streaming service that's on the way with Verizon. Redbox deal with Universal keeps DVDs, Blu-rays on 28-day delay through 2014 originally appeared on Engadget on Thu, 01 Mar 2012 08:42:00 EDT. Please see our terms for use of feeds. The last time we saw the Novero Solana, we were prowling Intel's booth at CES in search of prototypes. Because it was Intel, not Novero, showing the device, the emphasis was on that Cedar Trail processor inside, as well as that kooky form factor -- a netbook with a titling, easel-like touchscreen. What we didn't know then was that the Solana also runs Android, and that it's almost ready for prime time: it's expected to hit Europe and North America within the next two to three months, priced at about €699 or $799, respectively. We had a chance to play with some more polished hardware here at Mobile World Congress, and also see the machine running Gingerbread. Follow past the break for some early impressions or, if it's too early in the US to stomach reading, have a gander at our quickie demo video. Novero's Solana is an $800 netbook running Windows 7 and Android, we go hands-on ori! ginally appeared on Engadget on Thu, 01 Mar 2012 08:50:00 EDT. Please see our terms for use of feeds. It's a couple of months since we spotted paperwork for a mysterious "PTK-450" device at the FCC and now Wacom has finally revealed the gadget that goes with the label. The Intuos5 tablet is available to purchase immediately in Small (4 x 6 inches), Medium (6 x 8) and Large (13 x 8) sizes, priced at £200, £330 and £430 respectively. We're still waiting on confirmation of US pricing, but it'll no doubt be less than what a straight currency conversion suggests (i.e. somewhere below $320, $525 and $680). There's actually a fourth variant to add to the trio, but it's not an XL -- Wacom is hoping to up-sell you to a Cintiq 21UX or Cintiq 24HD if you want something bigger. Instead, the fourth tablet is a version of the Medium that comes without touch sensitivity, bringing the price down to £270 if you're able to live with pen-only input. Opting for this particular model will remove one of the biggest upgrades in this three-year product cycle: the ability of the Intuos5 to sense up to 16 finger-touches simultaneously, rather than just the nib of the pen. But there have been other revisions since the Intuos4 aside from touch, and you only have to read on to discover what those are. Update: There was a problem with the embedded video -- sorry folks. It's working properly now, alon! g with m ore gallery pics below. Update: Just got word on US pricing. $230, $350 and $470 for the touch sensitive models. $300 for the Medium without touch. Also coming to the US is a pen-only version of the Small tablet -- we're not sure how much that'll cost (and Wacom's site seems to be down right now), but it'll be the cheapest upgrade of the bunch. Wacom announces! 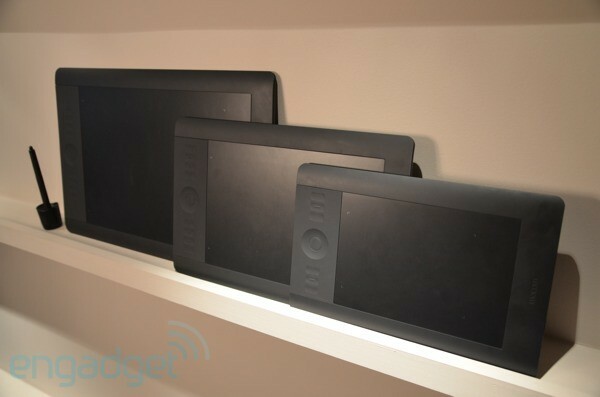 Intuos5 graphics tablets, we go hands-on! 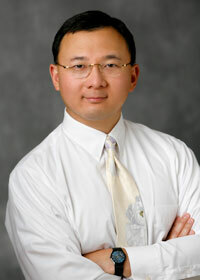 (video) originally appeared on Engadget on Wed, 29 Feb 2012 21:30:00 EDT. Please see our terms for use of feeds.